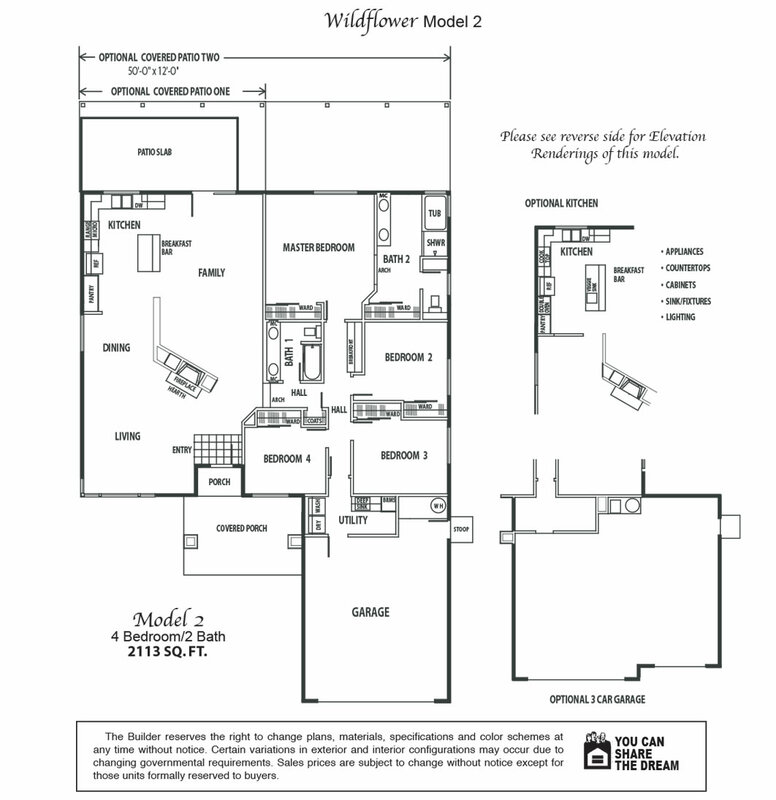 Plan #2 is 2,113 square feet with four bedrooms and two baths. It features a spacious family room, a formal dining room, and a comfortable living room with a fireplace. Pampering kitchen has a center island with breakfast bar, pantry, and offers optional kitchen packages. The master bedroom comes complete with two closets, a large private bathroom with dual sinks, oversized tub and separate shower. *The Builder reserves the right to change plans, materials, specifications and color schemes at any time without notice. Certain variations in exterior and interior configurations may occur due to changing governmental requirements. Copyright © 2019 | Winfield Developement | All Rights Reserved.